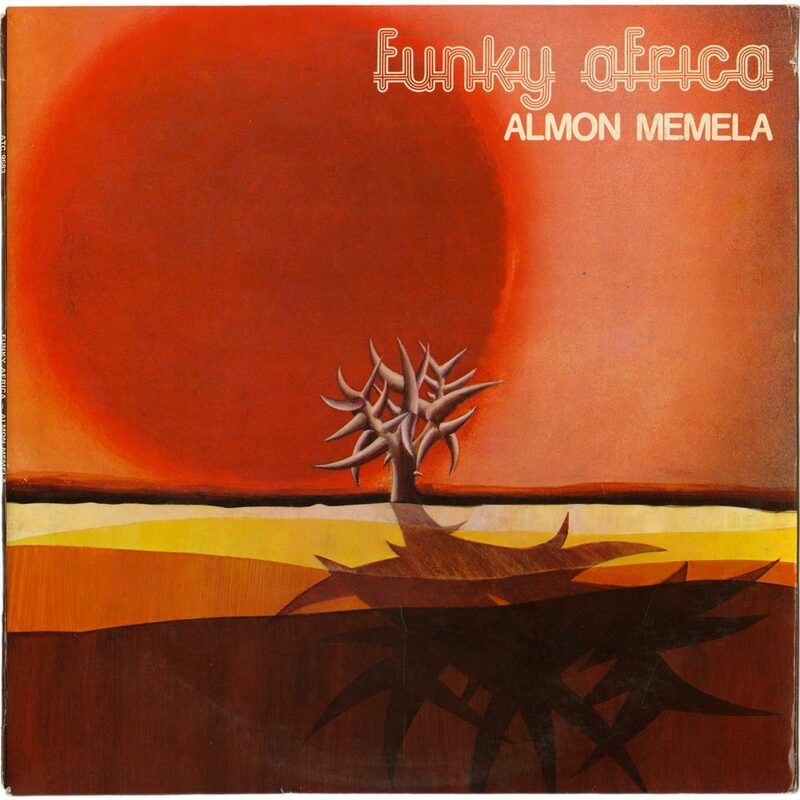 Today we pick up the A.M Stragglers thread (sewn by fortherecord in February) with Almon Memela’s super rare Funky Africa. Information on Memela, like his records, is hard to come by and much of what I have gleaned below has been sourced from various auctions and the research of Yvonne Huskisson. Composer, guitarist and later producer for WEA Records in South Africa, Almon Sandisa Memela was born in Donnybrook, KwaZulu Natal in 1936. His first guitar was homemade, but his parents were not supportive of his musical endeavors and so he taught himself to play on borrowed instruments. After briefly working at the United Tobacco Company in Durban, Memela moved to Johannesburg in 1956 to work on the mines. While there he sought to take guitar lessons at the legendary Dorkay House in 1958. The three-storey education and performance centre was purchased by Union Artists (with proceeds from the 1954 farewell concert for anti-apartheid activist Father Trevor Huddleston) and became a fulcrum for artists to meet and share ideas. As it turned out, Memela, rather than becoming a student was asked to teach the guitar lessons! Memela made his first recordings in 1959 and his early career included band work with the United Artists’ productions of King Kong, In Township Tonight and Mhobelo as well as background music for the Jamie Uys film Dingaka. His first recording as composer was the track Nozizwe with the Travelling Singers in 1960. In 1963 his work began shifting toward instrumentals exclusively—interestingly, the same year that he formed his group, Almon’s Jazz Eight. The Jazz Eight recorded and performed throughout the 60s and 70s (listen to their HMV 78s in the Ballantine Archive) and the line-up included amongst others, future Drive members, Henry and Stanley Sithole (who joined the group around 1966) and Bunny Luthuli (in 1968). In 1969 the Sithole Brothers formed the Heshoo Beshoo Group before they and Luthuli established the Drive in 1971. 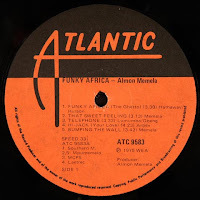 In the meantime Memela and his group The A.M Stragglers recorded Soul Bandit (1969, Little Giant, G2) the album featured here on Electric Jive in February. 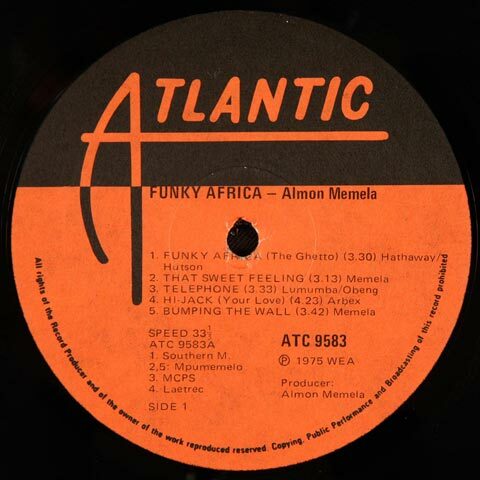 Memela is remarkably versatile and his style shifts from soul jazz with the Stragglers to bump jive with Abafana Bamaswazi (on Highway Soul and the Swaziland Likwindla Festival, both 1977); from straight mbaqanga on some 45s to the rich afro funk textures featured on today’s offering: Funky Africa. 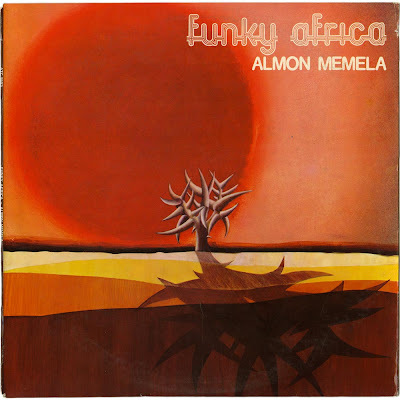 In the world of eBay, Funky Africa has been elevated to “holy grail” status making this rare album even harder to come by and excessively expensive. The album is tight and excellent, but we might reserve the title of “holy grail” for Memela’s even scarcer album Broken Shoes (1976, Highway Soul, HSL 2009)… or at least until we listen to it! For a limited discography of Almon Melmela go to flatint. 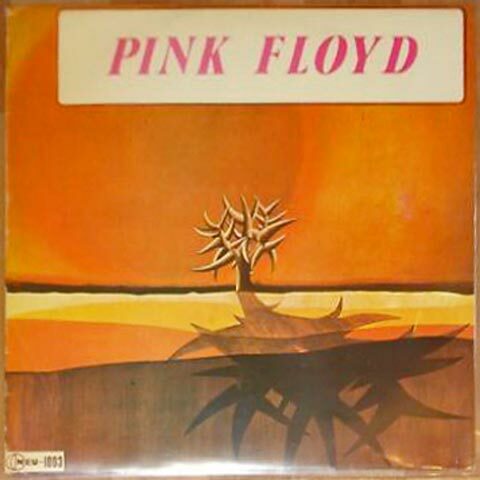 One final note… I was surprised to see the cover—that stark, hot African landscape—show up again on a Turkish pressing of Pink Floyd’s debut album The Piper At the Gates of Dawn… odd! Whatever imagination they lacked in the cover-design department in this their first ‘African’ issue LP in South Africa, Trutone made up for it with a strong selection of 60s mbaqanga instrumental songs. Not much more needs to be said here, but Enjoy! Trutone TBL1 (1969) Various Artists. 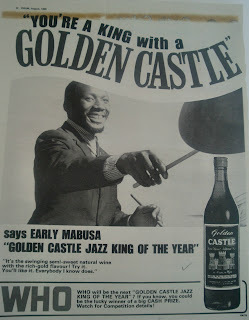 When the prohibition on the sale of ‘European liquor’ – beer, wine and spirits – to Africans was lifted in 1962, the South African alcohol industry was quick to capitalise on the existing mythologies and realities that had already indelibly associated jazz in South Africa with shebeen culture and drinking. 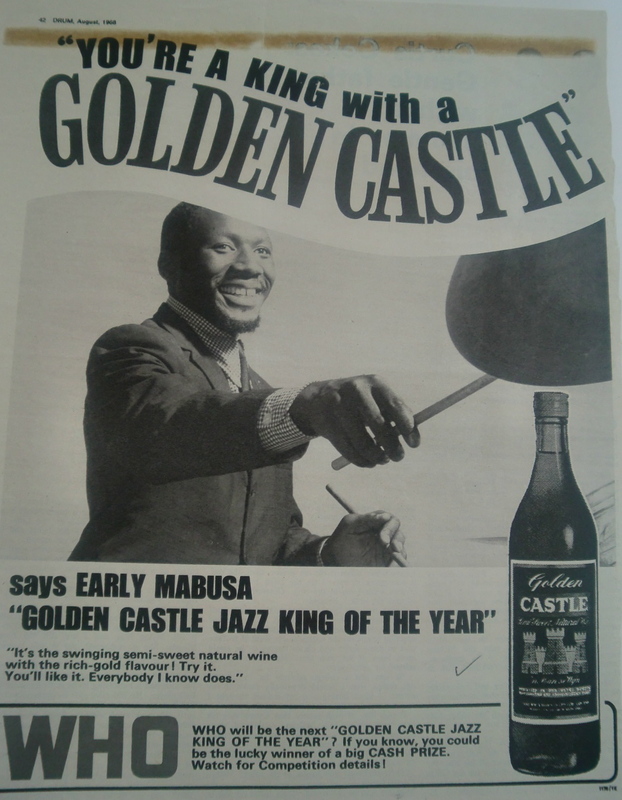 The Cold Castle Jazz Festivals of 1961-4, sponsored by Castle Lager, are the best known of these attempts to link the drink industry with jazz, and resulted in a rightly celebrated series of recordings, including Jazz: the African Sound, the 1963 studio recording of Chris McGregor's Castle Lager Big Band, assembled after the McGregor group won the 1962 competition (available here; the 1962 festival record is available here). The Cold Castle festivals promoted beer, and at this stage there was no serious industry attempt to market wine to African drinkers. But toward the end of the 1960s, as wine production in South Africa increased, a more concerted campaign to market wine products – often ‘sweet wine’ or ‘brandy wine’ – to African consumers seems to have been undertaken. As with beer marketing immediately after the end of prohibition, jazz music and imagery was once again employed to sell alcohol to an African market, with the E.K. 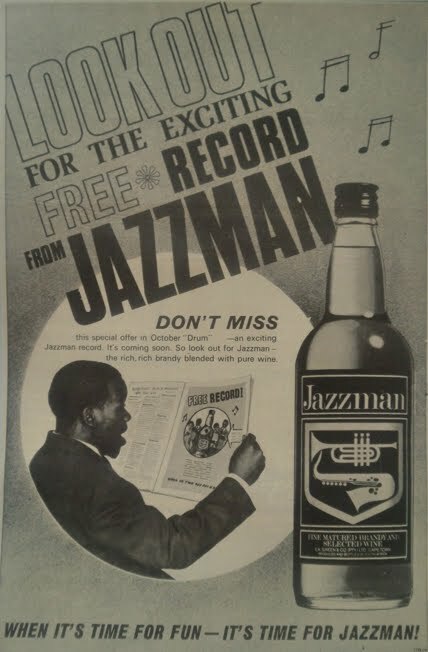 Green distillery company even marketing a brandy wine named ‘Jazzman’ (slogan: ‘When it’s time for fun – it’s time for Jazzman!’) by giving away free records in Drum magazine. 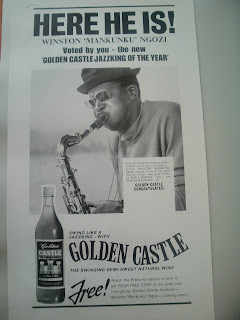 Also involved was the Castle Wine and Brandy Company (unconnected to Castle Lager, despite the name) whose promotion of ‘Golden Castle’ – a ‘swinging semi-sweet natural wine’ – involved a ‘Jazz King of the Year’ award, seemingly chosen by a popular vote. 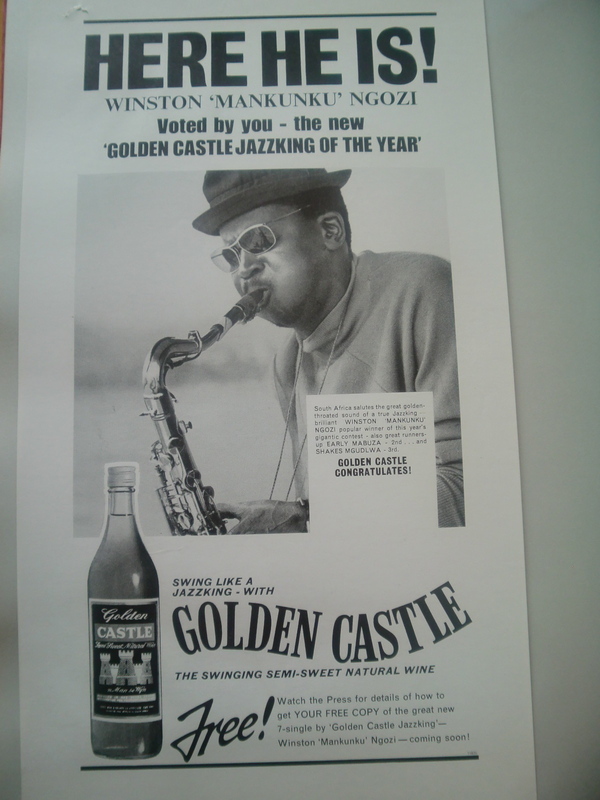 Paul Nugent, who generously supplied the images below, has posted about the wine industry here, where he also documents a some other Golden Castle adverts. In 1967, the winner was Early Mabuza. 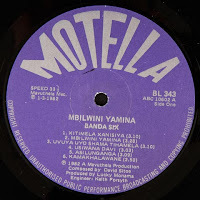 In 1968, the same year as his landmark recording Yahkal’ Inkomo, the winner was Winston ‘Mankunku’ Ngozi, and the music shared in this post is taken from the free promotional single that went with the title award. The single has absolutely no information about the music or lineup at all (both the laminated picture sleeve and the record labels themselves are identical on either side), but since the performance is in quartet the date might circumstantially suggest that the personnel is the same as that on Yakhal’ Inkomo (Mankunku being joined on that session by Lionel Pillay on piano, Agrippa Magwaza on bass, and Early Mabuza on drums). No song titles are given (if you recognize the tunes, please let us know in the comments). 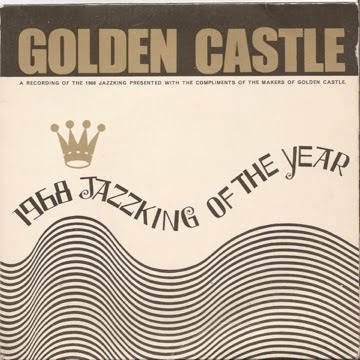 Both sides are bookended with alternate language versions of a jingle based on the Golden Castle slogan ‘You’re a king with a Golden Castle’. Mankunku was one of the great tenormen, as authoritative with his instrument as his most illustrious US forebears and contemporaries. Like too many great South African jazz musicians, he has been denied an equivalent historical standing through circumstances that by now need no rehearsal here. Recordings of him in his late 1960s pomp are few in number. At this stage, a mere two more tracks is a lot. Enjoy. With many thanks to Paul Nugent at the Centre for African Studies, Edinburgh. 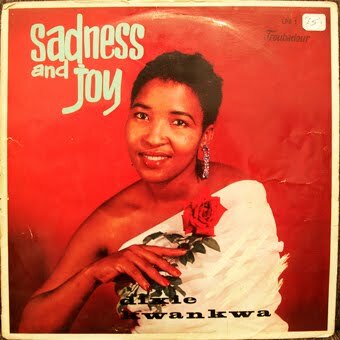 This is the first LP in South Africa on the Troubadour label and is presented as "Sadness and Joy - Dixie Kwankwa in an Evening of African Cabaret". 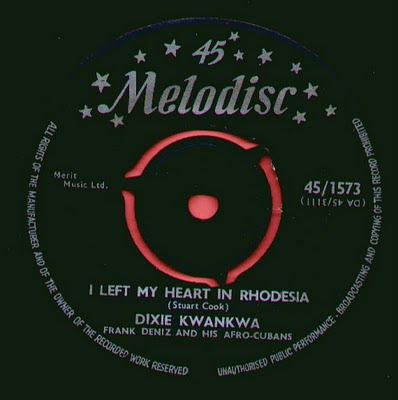 Dixie had a hit in London and Southern African with the song My Nyasaland Love which was issued in the UK on Melodisc 1573 (c.1961). In a strange way Dixie reminds me of Simphiwe Dana with an assured but quiet and confident delivery and none of the urgency or forcefullness of her peers. In listening to the LP today you can almost visualise this slotting in next to the Harry Belafonte, Bing Crosby and Frank Sinatra records that the white middle classes were enjoying at the the time. Record players that could play 33rpm records were rare and expensive and until at least the mid-sixties the predominant format in South Africa was the 78 single play. There is not a lot more information on Dixie apart from what can be gleaned from the sleeve notes which are written in the quaint and mostly patronising manner of the times. 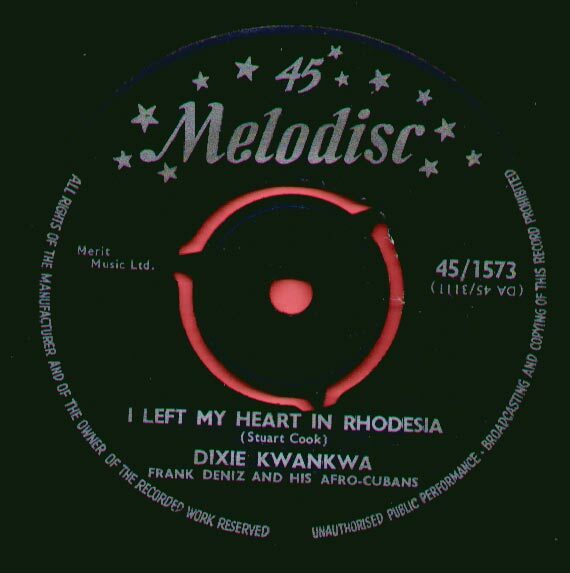 Dixie did win the Miss South Africa title in 1957 and in the following year as part of the show African Bandwagon got her first singing job before being signed to Troubadour Records. 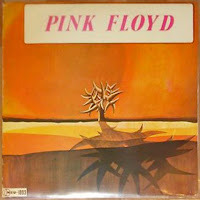 There are some great songs here including a take on Ghanaian Hi Life and a rock and roll tune. The accompaniment and chorus is under the direction of Cuthbert Mathumba whilst the LP is produced and arranged by Stuart Cook. Enjoy the ride! Mofene David Sitoe the principal artist behind Banda Six, hails from Chibuto (near Maputo) in Mozambique and recorded his first transcription records for Radio Mozambique in 1964. In 1975 he found part-time work in South Africa at the Durban Deep Gold Mine in Roodepoort. Interestingly that same year Mozambique became independent from Portugal. Being a foreigner in South Africa, it was not clear to Sitoe how he would be able to record his music until he met Jimmy Mahlangu in the early 1980s. Mahlangu introduced Sitoe to Lucky Monama, Gallo’s traditional music producer, who auditioned and subsequently recorded him for Mavuthela’s iconic Motella label. Monama, of course, of the famed Makhona Tsohle Band moved into production at Mavuthela after Rupert Bopape began to spread his responsibilities to a number of understudies in the early 1970s. (Read Nick Lotay’s excellent essay on the subject at Matsuli.) The Mavuthela sound with Monama’s hand is evident in the resultant record—an amazing merging of Shangaan vocal, sparkling guitar-work and the signature elastic mbaqanga bassline. Listen to tracks like Usiwana David and you can hear hints of that future Shangaan Electro sound. Shangaan (or now more correctly Tsonga or Xitsonga) is spoken predominantly in the eastern side of South Africa’s most northern province—Limpopo—roughly around the Kruger National Park region; and in Southern and Central Mozambique especially around Maputo. Neo-traditional Shangaan music, according to Rob Allingham, generally consists of a circular structure featuring call-and-response vocals (often a male lead with a female response chorus) together with a guitar and several percussive instruments. The guitar itself was brought to the region by the Portuguese in the sixteenth century and became popularly adopted by Zulu, Ndebele and Shangaan cultures. The Shangaan Electro album also features this male call and female response chorus albeit in producer Richard “Nozinja” Mthetwa sampled form. With Mthetwa’s dance sound the guitar has given way to the marimba and synthesizer organ. 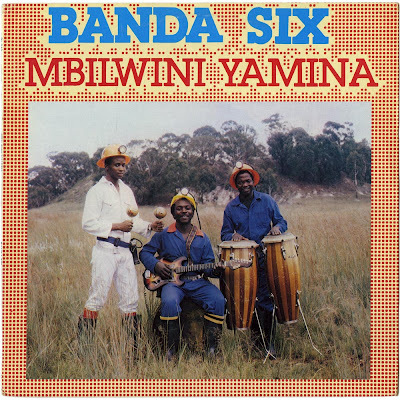 Though the electric keyboard dance-beat is not new and the vocal structure is evident in earlier Shangaan groups including General MD Shirinda & the Gaza Sisters (featured on Paul Simon’s Graceland), Thomas Chauke & the Shinyori Sisters, Obed Ngobeni & the Kurhula Sisters, Makhubela & Nkhohlwani Girls to name a few. The female chorus and synthesizers are notably absent from the Banda Six album but his cyclical guitar work is complemented with a fast-paced rhythm section of congas and maracas. 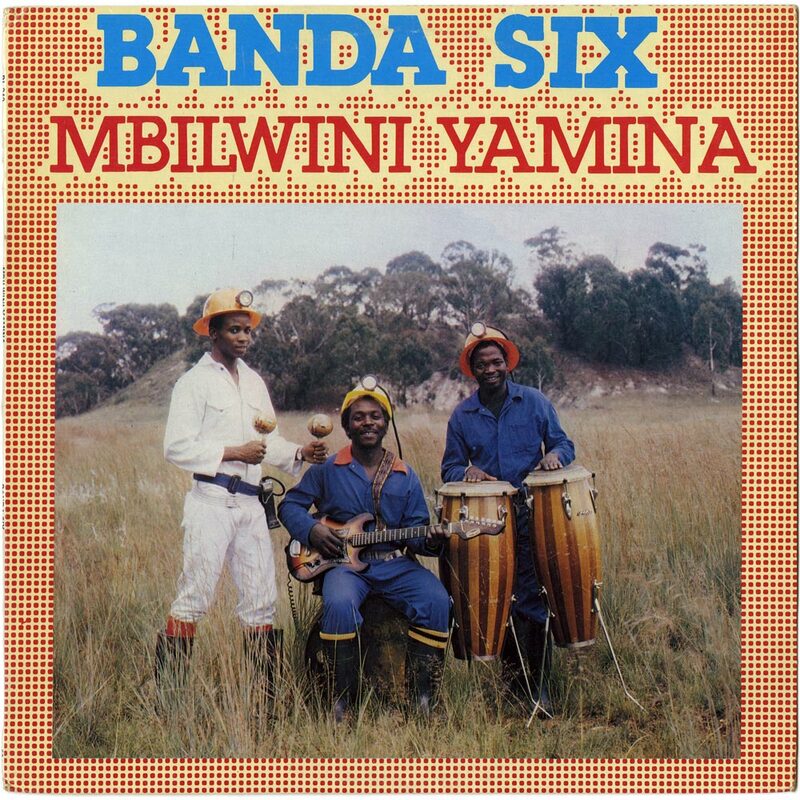 Banda Six has put out at least six albums, mostly on Gallo’s Motella and Spades labels. Check out a partial discography at flatint. Khomba Ka Mina a track from Banda Six’s third album Rosy Awulunganga was also featured on the second flatinternational compilation hosted by Matsuli in December 2008 and is included here as a bonus track. More great news: ElectricJive has convinced Francis Gooding - professional archivist, vinyl collector and co-compiler and researcher of Strut's fantastic 2010 "Next Stop Soweto" series - to join our blog team. Welcome Fin! Today's post picks up on a golden thread running through ElectricJive. Herewith the Movers’ ‘Bump Jive Number Six’ album with the title track in all of its 12:48 minutes glory. We previously shared the shortened 45rpm version, with its special MC call-outs in introducing the band, on the Jo’Burg Love Trip mix. Swirling groovy keyboard riffs and runs from Sankie Jacob Chounyane define this infectious sound – supported by two lead guitars and a rock-solid rhythm section. It would be fair to call them South Africa’s answer to Jimmy Smith and Booker T Jones rolled into one. But these are not just imitations, there is still very much that is African and original in this music.